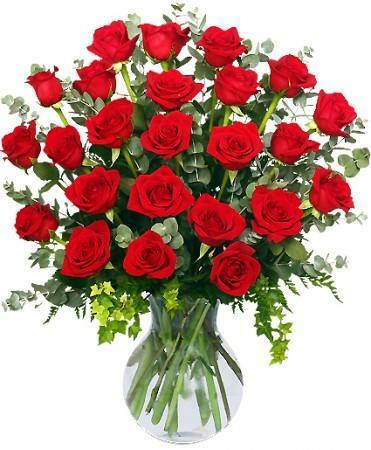 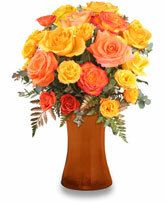 A dozen "Fancy Amazon" roses designed low and tight, with seeded eucalyptus accent. 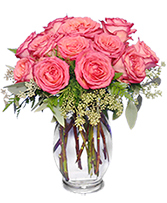 A stunning bi-color roses for sure! 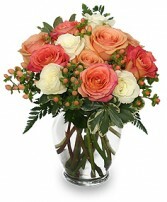 A mix of white, peach and orange toned roses with green hypericum and variegated foliages all designed in a squat vase for that great romantic look!